Фотобанк Rusmediabank – лицензионные Фото, Видео, Музыка - 12 Cute different vector seamless patterns (tiling). 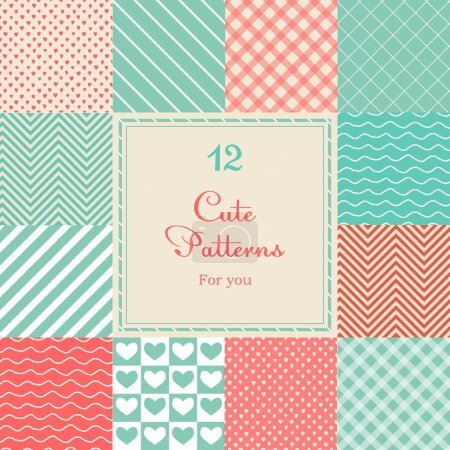 12 Cute different vector seamless patterns (tiling). 12 Cute different vector seamless patterns (tiling). Pink, red and blue color. Endless texture can be used for printing onto fabric and paper or scrap booking. Heart, stripes, rhombus, chevron.